<b>Frozen fingers, broken bones, shattered hearts... the situation could not get worse.</b> Or so Lieutenant Peter Harding thought. The Trigger has just left UK shores and is on its way to northern Norway when the relentless storm hits. Harding&#x2019;s crew are barely surviving the Artic conditions which face them. The ship is slowly dying and cracks are beginning to show, in both the ship and in relations between the men on board. The navy of Nazi Germany are under orders to destroy The Trigger, but how much will it take before Harding and his men surrender to the enemy? A thrilling, nautical adventure, <em>Command</em> presents a heart-warming tale of the loyalty and brotherhood of the Royal Navy in their courageous fight against German forces. 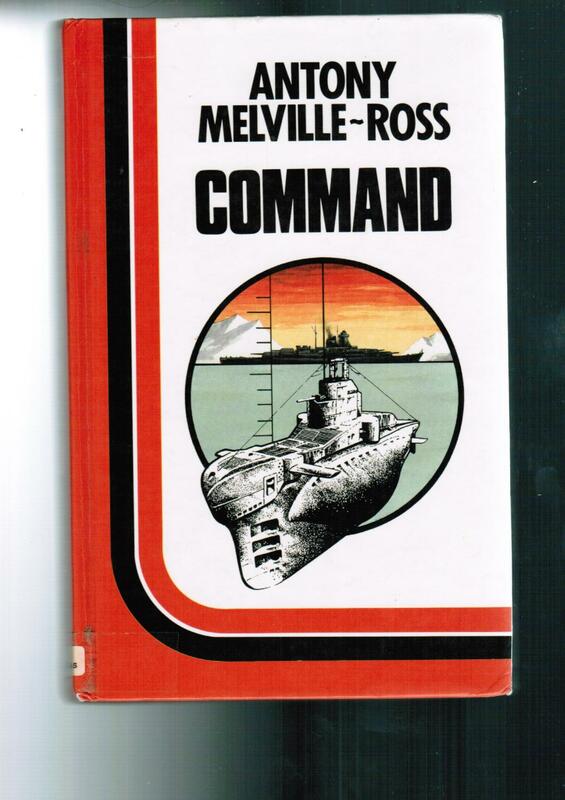 For fans of Alan Scholefield and Philip McCutchan comes another classic naval adventure from Anthony Melville-Ross. <p><b>Praise for Anthony Melville-Ross</b></p> &#x201c;A thriller of unusual quality&#x201d; &#x2013; <em>The Independent</em> <b>Anthony Melville-Ross</b> was born in Hastings, East Sussex on November 11 1920. He published six novels between 1978 and 1985, all inspired by his background as a sub-mariner in the Second World War. He had an extremely successful career in the navy, rose to command his own boat and transferred into the Secret Service after the end of the war. He died in his hometown on January 10 1993, aged 73. No store, mail order only. We have been selling books by mail since 1973, originally as Shamrock Books. Currently cataloging a large collection of 20th century mystery, western and juvenile series books. Orders ship same or next business day. Delivery Confirmation and insurance provided free of charge. Sorry, but dropshipping books is not possible.